Below are the Speedtest.net & Speedtest.net App results I received while on the Airtel 3G network in Salem, India. I ran 5 consecutive tests on the app as well as Chrome browser at Speedtest.net while connected to my phones wifi hotspot. Running tests consecutively I was able to get fairly consistent results as you will notice in the data below, but when I would randomly run speed tests throughout the day, there were drastic differences in results probably due to network congestion at that given time. 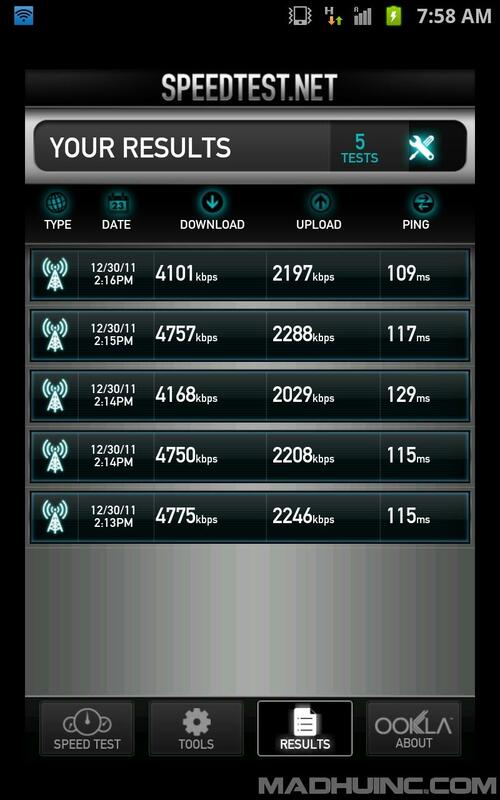 Overall my data needs were more then satisfying thanks to Airtels 3G network here in Salem, India.